With all the appeal of a drive-in, but without the carbon footprint, comes the Outdoor Cinema in Fairhaven. 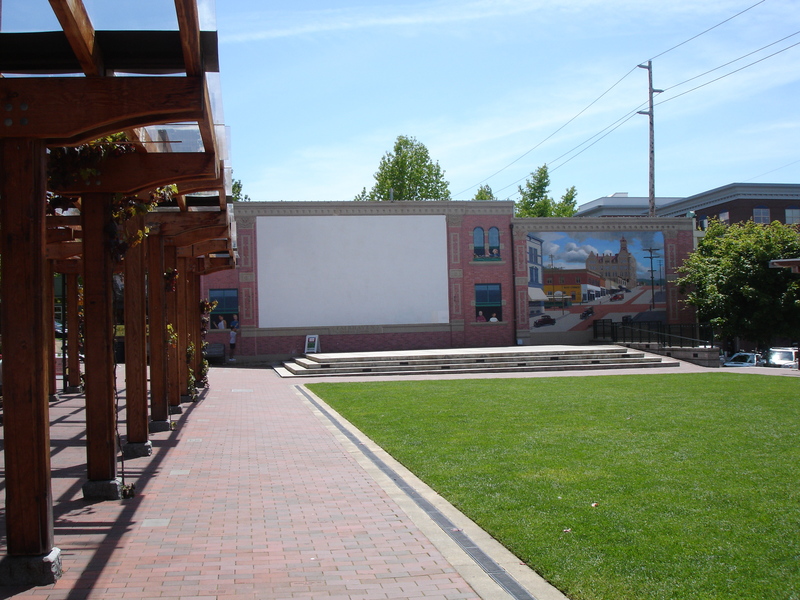 Every Saturday night, the Fairhaven Village Green transforms into a movie theater after dark. There’s live music to listen to while you wait for darkness to come and the movie to start. This Saturday (June 26, 2010), come see Whip It, a sweet coming-of-age movie about a teenage girl in Texas who discovers a love of roller derby (much to her pageant-mom’s dismay). It is rated PG-13. The music starts at 8:30 with the Marion Weston Band, and the movie will begin at dusk. Bring blankets, warm clothes, and maybe a lawn chair. Very low-back chairs can be set-up on the Village Green, but if you have a higher-backed chairs, you need to be on the sidelines. New this year is a $5 charge for pre-movie seating. So it’s going to cost you a little to get the best spot. I imagine if you get there right when it starts you can still see the movie for free though. There are snacks for purchase, but you are also welcome to bring your own snacks and beverages. I recommend walking or biking if possible to avoid parking headaches. Find out more about movies in Fairhaven.